This Pork Pie was born out of a simple flash of inspiration when I was trying to decide what to cook for the family’s dinner tonight! 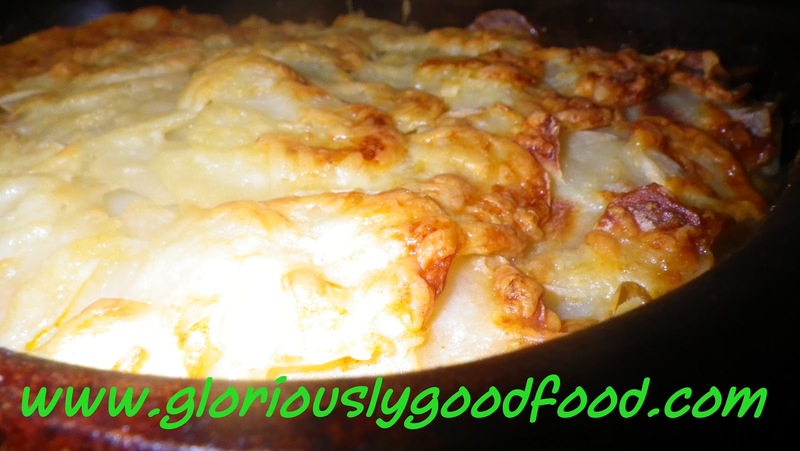 Place in a medium/hot oven (170°C fan-assisted, 185°C convection) for 45-60 mins, removing from the oven once the potatoes are cooked and the cheese has formed a golden crust. You can use this chicken stock for chicken gravy, as a base for soups or even as a delicious bouillon to enjoy on its own or with some small pasta or “capelli d’angelo“. 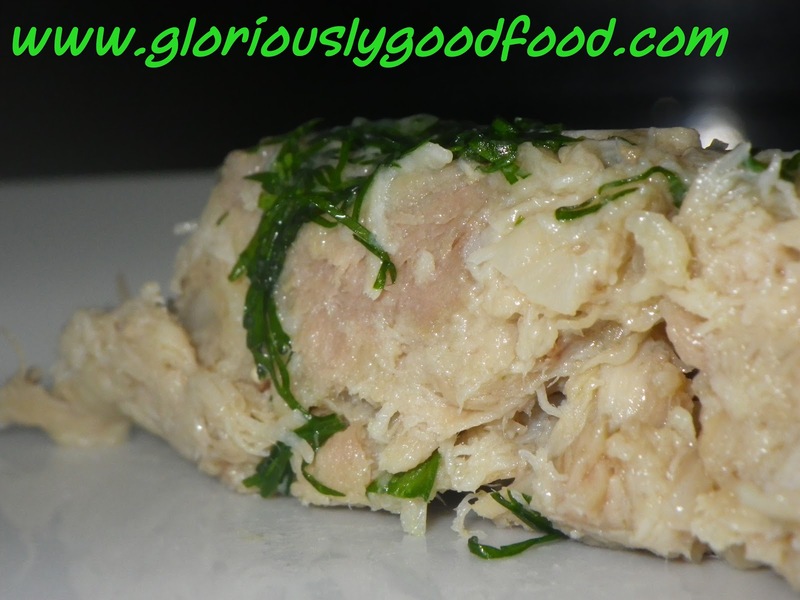 This recipe also forms the basis for my Chicken Terrine / Low-fat Chicken Paté recipe. Remove all the vegetables and herbs at this point to allow the chicken flavour to prevail and avoid the vegetables falling apart inside your stock. Set them to one side. Continue simmering on a low heat with the lid on for another 30mins to an hour, until you are satisfied that the stock tastes good. Add extra salt if you think it needs it, but be careful not to over-salt as the stock will reduce a little as you cook it. If your stock ends up too salty, place a raw potato in it – the potato will absorb the excess salt! 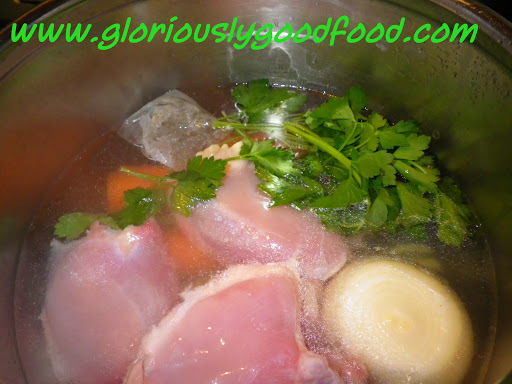 At the end of cooking, strain your stock to give you a pure clear chicken stock. You can refrigerate this or freeze it to use at a later date, or use immediately. 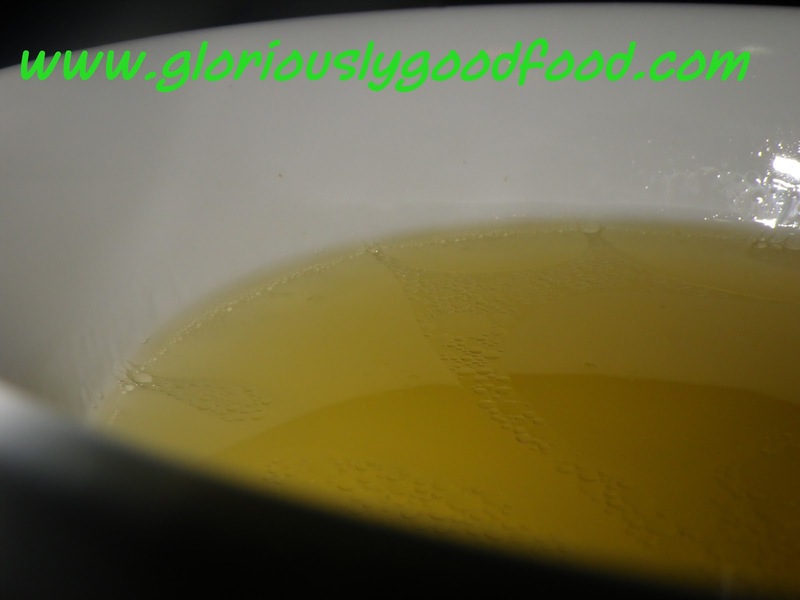 Clear chicken stock – delicious! What to do with the boiled chicken & vegetables? Tear the chicken off the bone (it will fall off by now, anyway) and tear it into rough shreds. Serve with a drizzle of extra virgin olive oil, sea salt & freshly-ground black pepper and, if you wish, some freshly-squeezed lemon juice or balsamic vinegar. 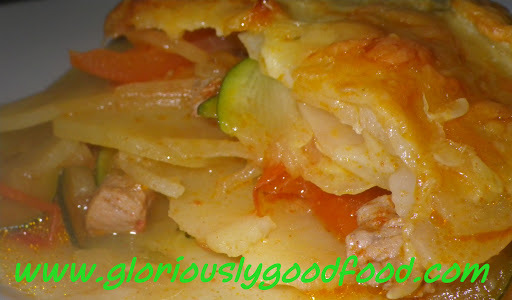 Do the same with the vegetables for a delicious, almost sweet, accompaniment. The vegetables are exquisite even without seasoning. 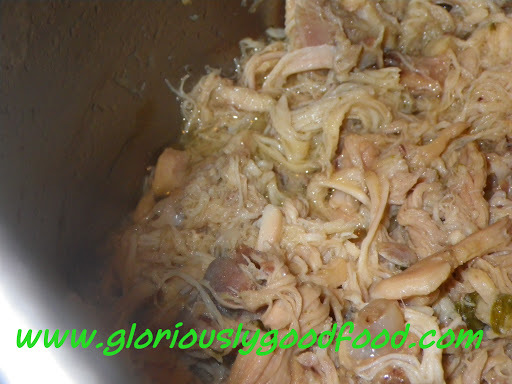 Serve the shredded chicken pieces in the bouillon/stock/broth (whichever your preferred term is) for a delicious warming soup. You can add pasta to it, too, if you wish. 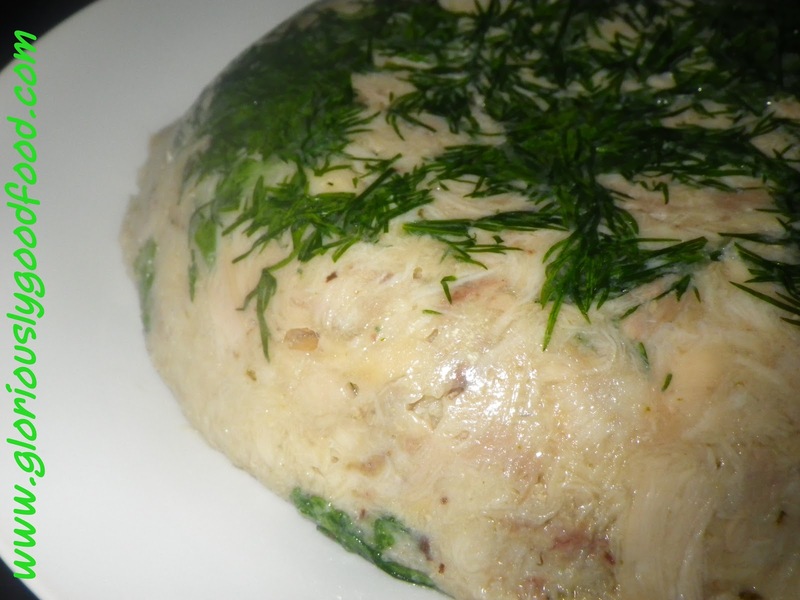 Top with fresh chopped Dill at the table. YUMMILICIOUS!